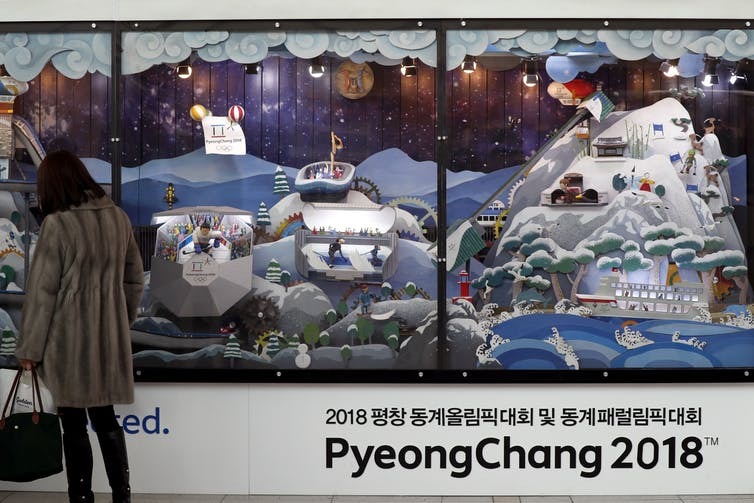 When the International Olympic Committee announced that PyeongChang would host the 2018 Winter Olympic Games, most people outside of South Korea had probably never heard of it, let alone knew that the eastern part of the country had snow and mountains. The shift in the type of place capable of hosting such a mega sporting event demonstrated how much the Winter Olympics has grown - but this change also brought with it a set of problems unforeseen when the event began in 1924. Figure skating first appeared on the Olympic program in 1908, and ice hockey in 1920, but these events were part of the Summer Games. The first Winter Olympics took place in the French alpine village of Chamonix in 1924. The organizers of the Paris Olympics that year wanted to offer an International Sports Week at the beginning of the year with solely winter sports as an experiment. Only after its success did the IOC decide to call the Chamonix event the Winter Olympics. The first few Winter Olympics took place in ski resort towns known to winter sport enthusiasts: St. Moritz, Switzerland in 1928; Lake Placid in 1932; and Garmisch-Partenkirchen, Germany in 1936. In the 1930s, the U.S. and Germany hosted both the Summer and Winter Olympics because the IOC allowed the country which won the right to host the Summer Games to decide whether they wanted to organize the winter ones too. If they did not - or could not in the case of the Netherlands in 1928 - then the IOC opened up the bidding to other countries. The Winter Olympics has always been significantly smaller than its summer counterpart in terms of the number of sports contested and countries participating. Just over 250 athletes competed in Chamonix, and it took until the 1964 games in Innsbruck, Austria, for more than 1,000 athletes to compete. Fewer than 3,000 athletes competed in Sochi in 2014, whereas more than 11,000 athletes competed in the 2016 Rio Summer Olympics. Urban centers provide many of the required amenities for a successful Olympics: huge venues for the opening and closing ceremonies, sizeable indoor arenas for ice hockey and figure skating, facilities to accommodate the world's media, and thousands of hotel rooms for all of the spectators. However, those same larger cities tend to be further away from tall mountains and the higher altitudes needed to ensure sufficient snowfall and cold temperatures for the outdoor events of skiing, snowboarding, and the sliding sports of bobsled, skeleton, and luge. At the 2010 Vancouver games, even with the widening of the highway that leads from the city to Whistler, it still took nearly two hours to reach the mountain venues. The organizers put on buses for those spectators who purchased tickets to events in the mountain to minimize traffic on the highway. After the initial ticket allocation, only Canadians with a postal code within a small radius of Whistler were permitted purchase the remaining tickets to some of the mountain events. One of the reasons the IOC selected the Korean city for the 2018 event was to spread winter sport to a new part of the world which had not held the Winter Olympics. But aside from concerns about the post-Olympic use of these venues in a country where participation in skiing has declined, logistics for spectators are challenging. The PyeongChang organizers recommend that visitors use the high-speed train from Seoul that opened in December. However, a major Korean holiday falls during the Winter Olympics and the majority of seats on the train have already been reserved. International spectators who purchased special train passes for the games are now unable to book seats on trains to take them to the Olympic events. There have also been concerns about accommodation shortages. The next Winter Olympics in Beijing in 2022 will be ever more spread out between venues. As larger cities further away from the mountains host the Winter Olympics, the games feel more disjointed for both athletes and spectators. Fans must decide where to stay and may decide not even to bother attending any mountain events. The organizers for recent Winter Games have built two Olympic Villages, one in the city and another in the mountains, separating athletes instead of having them all live together. Future hosts for the Winter Olympics have to find a way to balance the interests of athletes, spectators, and post-event use of facilities. This challenge will not be easily solved, although recent past host cities - such as Salt Lake City - putting their hat in the ring to host the Winter Olympics again may be one solution. Heather Dichter is an associate professor in the Leicester Castle Business School at De Montfort University. This article was originally published on The Conversation.